If your community or sector organisation would like to express its support for NetHui South 2012 on this page, then please contact us. The Pacific Internet Partners (PIP) is a not-for-profit organisation aimed at leveraging ICT for the Prosperity of the People of the Pacific. PIP was established in 2003 with the three initial partners being InternetNZ, UNESCO New Zealand, and UNDP. Its current supporters include APNIC, auDA, AusRegistry, .asia, ICANN, the Internet Society, the Internet Society of Niue, Packet Clearing House, Verisign, ASNic, Google and others. 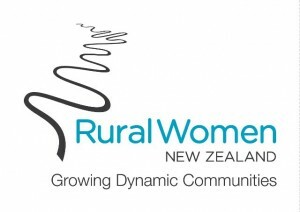 Rural Women New Zealand is a charitable, membership-based organisation that supports people in rural communities through learning opportunities, advocacy and social connections. Our members are diverse, but all of us share rural interests that connect and energise us. We are the leading representative body promoting and advocating on rural health, education, land and social issues. We have groups throughout New Zealand. Some groups meet for networking and friendship, often supporting their local communities through events or fundraising. Others are focused on education and learning, and facilitate training days and workshops. “We are pleased to offer our support and commitment to the inaugural NetHui South and will be recommending the event to all our constituent communities who have an interest in leveraging digital opportunities for economic and social benefit. NetHui 2012 held in Auckland earlier this year was an amazing event – over 500 people gathered over three days to discuss internet-related issues. The highlight for us was the digital inclusion panel with a powerful and moving statement from one of our Computers in Homes graduates; the standing ovation she received was testament to the importance of ensuring all New Zealanders have access to the internet. The 2020 Communications Trust was a proud supporter of the Auckland event in July as well as the inaugural event in 2011. NetHui brings together people from all walks of life – from business, government, education and the community – contributing directly to our Trust’s vision for New Zealand of a country where everyone can participate in a digital world.” Laurence Millar, 2020 Communications Trust. Creative Commons Aotearoa New Zealand (CCANZ) is the kaitiaki of the Creative Commons licences in Aotearoa. They support open licensing across education, government, culture and science, in order to help realise the potential of the Internet. Crown Fibre Holdings Limited (CFH) has been established to manage the Government’s $1.5 billion investment in Ultra-Fast Broadband infrastructure. “Crown Fibre Holdings believes open access, widely available ultra fast broadband will unleash a range of opportunities to make the Internet a more central part of our lives and businesses. We look forward to discussing the implications of this initiative at this important event,” Rohan MacMahon, Strategy Director, Crown Fibre Holdings. The New Zealand Open Source Society is a volunteer-run charitable organisation whose members are focused on supporting the kiwi free and open source software (FOSS) community and increasing awareness of FOSS – and its powerful and positive implications – within the broader society, especially education and government. The society takes an advocacy role with government to ensure a level playing field for FOSS businesses and communities. Members are passionate about creating a free and just society, with the widespread use of free and open source software seen as a necessary step towards that goal. TUANZ (the Telecommunications Users Association of New Zealand) is a not-for-profit membership association with over 20 years of positive telecommunications change in our history. The organisation comprises about 450 members, predominantly large organisations with a strong dependency on telecommunications technology as well as small enterprises. TUANZ also serves a representative group of SMEs and individual members. These small businesses and residential users are the customers of the large corporate members, who are just as focused on the quality of their customers’ connectivity as their own. TUANZ is a not-for-profit membership association with over 20 years of positive telecommunications change in its history. The Privacy Commissioner’s Office works to develop and promote a culture in which personal information is protected and respected. The Privacy Commissioner administers the Privacy Act 1993. The Privacy Act applies to almost every person, business or organisation in New Zealand. The Act sets out 12 privacy principles that guide how personal information can be collected, used, stored and disclosed. “Last year’s NetHui was a great way to network and to hear about emerging trends and issues. There was a wide mix of people and I urge digital new agers around New Zealand to attend. It’s not just for techies – it’s for everyone with an interest in shaping the digital space to benefit ordinary people and it’s an opportunity to get your views across to the industry. The need to ensure that people have choice and control over their online information was clear,” Marie Shroff, Privacy Commissioner. Ngā Pū Waea was established ‘to assist in ensuring Māori communities are be connected in a timely and efficient manner, and are able to maximise opportunities arising from the deployment of broadband’, in particular the deployment of UFB and RBI. Ngā Pū Waea works with the LFC’s and the RBI providers, along with a range of other stakeholders to seek collaborative opportunities to work together. It reports to the Ministers of Māori Affairs and Telecommunications to discuss its four key areas of interest being Connectivity, Affordability Opportunity and Uptake.“There are many opportunities to leverage the governments investment in UFB and RBI. These are born of our collective ideas (mahinga tahi) and Ngā Pū Waea considers NetHui an ideal place to build the relationships from which these opportunities spring.”Antony Royal, Chair. – Trusted community of security professionals focusing on improving the operational robustness, integrity, and security of the Internet in New Zealand. – Forum based on mutual trust for debate, networking, information sharing, and collaboration on matters relating to the cyber security of New Zealand. The New Zealand Network Operators Group (NZNOG) is an online community of network operators, predominantly in the Internet and Online Services area. NZNOG has run annual technical conferences in New Zealand since 2002. “We are very happy to offer our enthusiastic support to NetHui South, and encourage all network operators in New Zealand to attend. Internet infrastructure thrives on open and candid dialogue, and the NetHui formula provides a great way to make conversations happen. The NZNOG Trust looks forward to a productive NetHui in Dunedin” said Joe Abley, Trustee. The New Zealand IPv6 Task Forceis a not for profit organisation established to encourage and support the adoption of the next generation of the Internet which uses the IPv6 protocol. The Internet has experienced phenomenal growth over the last couple of decades and with this growth the original addressing scheme using the IPv4 protocol is becoming exhausted. Fortunately this possibility was foreseen over a decade ago and the next generation Version 6 protocol was developed by the Internet Engineering Task Force (IETF) to enable this transition in a seamless manner.Murray Milner, the Convener of the New Zealand IPv6 Task Force welcomes the opportunity to support the first regional NetHui to be held in Dunedin later this year. Obviously the introduction of the next generation Internet based on IPv6 should be of great interest to all users of the Internet and hence it is appropriate for the Task Force to support this event. The Task Force has previously supported the NetHuis held in Auckland and received considerable value from the interaction with people interested in all aspects of the Internet. We expect that the same will be true of the first regional NetHui in Dunedin. The Institute of IT Professionals (formerly the NZ Computer Society) is the professional body of the ICT sector and is proud to support NetHui. With thousands of members nationwide and a history spanning over 50 years, the Institute is the largest and oldest IT body in the country. InternetNZ is the non-profit open membership organisation dedicated to protecting and promoting the Internet in New Zealand and fostering a coordinated, cooperative approach to its ongoing development. “We are enthusiastic about a conference which reflects the Internet itself – involving everyone in the community as an equal and valued participant. InternetNZ envisions a conference bringing together different perspectives on Internet-related issues leading to networked action,” InternetNZ Chief Executive Vikram Kumar. NetHui South 2012 is looking for sponsors. If you would like to sponsor NetHui South 2012 please contact the InternetNZ team (office@internetnz.net.nz). Thank you to all NetHui South 2012 sponsors. This conference is operated on a cost-neutral basis by InternetNZ, which is also a contributor to the funding of the event. Sponsorship covers a significant portion of the cost, helping to minimse costs for participants.